When Carly posted about the Summer Book Swap, I knew I had to be a part of it. The only thing better than getting a new book is getting a new book as a gift. Quick thank you to Carly, Tiffany, Emily and Lauren for getting this together because amazeballs. Thank you! For the swap, we each got paired with someone, made new besties for life, and sent each other a book. I got paired with the lovely Sarah from A Rose in the City and we seemed to enjoy a lot of the same books. Pretty quickly she said she had an idea for me, and I not so sneakily stalked her goodreads profile and saw that she hadn't read The Time Traveler's Wife which just happens to be one of my absolute fave books. So, easy peasy. But I just couldn't help my Pride & Prejudice obsessed self, and I chucked that one in as well because it was also on her 'to read' list. You can read Sarah's post about The Time Traveler's Wife here and I can't wait to see what she thinks of Pride & Prejudice! If you haven't read either of these books, you should. Neither of them are what I would call 'easy' reads but they are absolutely magnificent and wonderful and amazing and beautiful and all of the good things. 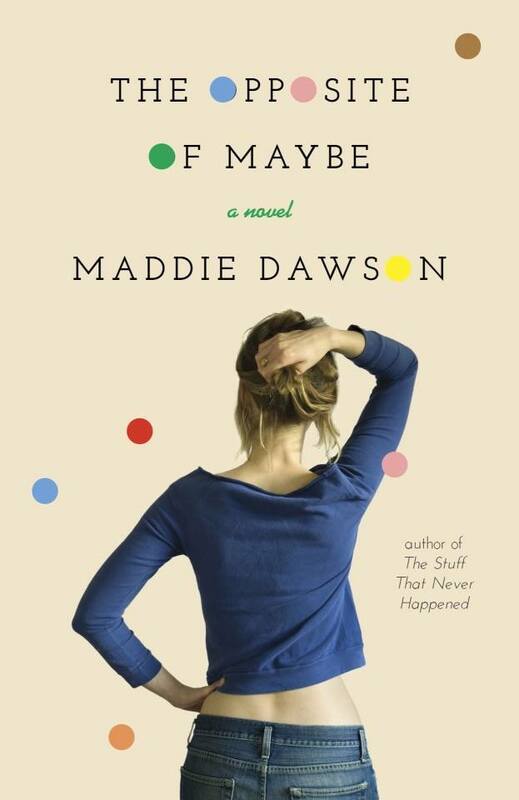 Sarah sent me The Opposite of Maybe which looks super interesting and right up my alley. Thanks so much Sarah!! Now, I know this wasn't a GIF filled 'funny' post and not everyone likes books and what not... sneak peak of my trip back home. The most cliché picture I could find, just for you. That's me, feeding a (small) kangaroo. My holiday didn't get much more exciting than that, folks. As long as too many people don't protest, a holiday recap shall be a comin'. And if they do protest, I shan't give a damn. I love Pride and Prejudice! It's one of my favorite books. I still haven't read The Time Traveler's Wife, but it's definitely on my list. Oh my gosh - I had so much to write about books and then you shared that photo!! LOVE! I LOVE The Time Traveler's Wife and Pride and Prejudice. Both are amazing books. I still haven't seen the move for the The Time Traveler's Wife, I need to though! And OMG I want that kangaroo! So freaking cute!!!! I have read every Jane Austen book (some more than once) except Pride and Prejudice. I know that books are always better than movies, but since I've seen the movie so many times I can't get myself to read the book! Sounds like a fun swap! I LOOOOOOOOOOOOOOVe a good book swap, what a great idea! I loved the Time Traveler's Wife even if it did confuse me and I had to keep checking how old they each were so it made sense. I've never read Pride and Prejudice. I know I need to, I just haven't. I get distracted by other books instead. I LOVE that picture. And I can't wait to read your recap since Australia is on my list of places I need to go before I die. I love Pride & Prejudice!! Great choices. :) Book swap is such a great idea. The Opposite of Maybe sounds interesting! You'll definitely have to let us all know what you think when you're done so I can decide whether or not to add it to my ever growing list of books to read ha. I appreciate the stereotypical Australia picture. Cute picture. Are they friendly? They seem cute but you never know....I love the Time Traveler's Wife, it's so good and makes me bawl :) And yes bring on the recap! I book swap sounds so fun!! OMG that kangaroo is the cutest!!! Can't wait to read about your recap!!! What a fun book swap! Time Traveler's wife - LOVED IT!!!!! You'll have to tell us how you like the book you got. Are you on Goodreads? I need to look you up. OMGEEEEEE I forgot what books you read because....hello little kangaroo!!! AHHH I would just want to scoop him up and tank him home! I liked the Time Traveler's Wife and the book you got sounds interesting. Such a great idea for a swap! you picked two great books for her. i am interested to see if you like the one she gave you! Aw LOVED The Time Traveler's Wife. That's a Kleenex-needing kinda book for sure. And I shan't forget to use this lovely word of yours now either ha. Love the little Roo pic! Awww sad I missed this swap! I love to read and am always looking for new books! I've done a lot of swaps, but never a book swap! 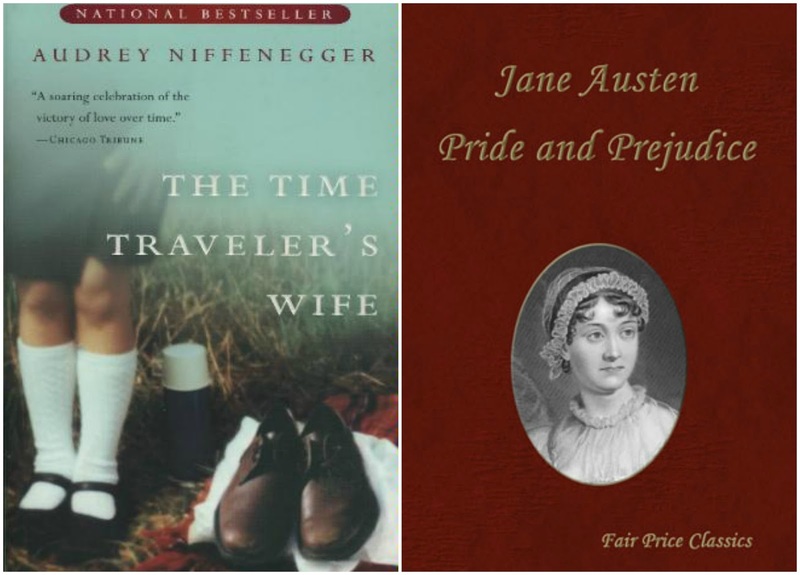 I liked reading and the movie version of the Time Traveler's Wife, but have not yet read Pride & Prejudice. My must read list seems to be never ending! You weren't joking about Pride & Prejudice ;) I'm a little jealous! Also, the Opposite of Maybe looks like it would be good- can't wait to hear what you think about it! And love that photo of you with the kangaroo! So cute! The time travelers wife is very much on my list I just haven't gotten around to reading it. I'm in between books so maybe now is a good time to start. I love this book swap idea! Confession: I haven't read the books you gave . . . I need to get on it!! And I LOVE the kangaroo pick and would be super disappointed if you didn't have one!! Yay adding all these to my goodreads list! I'm so happy that you were able to find your book soulmate from the swap! I haven't read the Time Traveler's Wife, but it's been on my to-read list for awhile. I love Pride and Prejudice though. I hope you enjoy the book you received. Thanks so much for participating in the swap!